From the Rolling Stone contributing editor, a work of literary journalism that explores the roots and repercussions of the infamous killing of Eric Garner by the New York City police. [Taibbi] has published a new book that properly depicts the Garner killing as a consequence of our society’s ills. 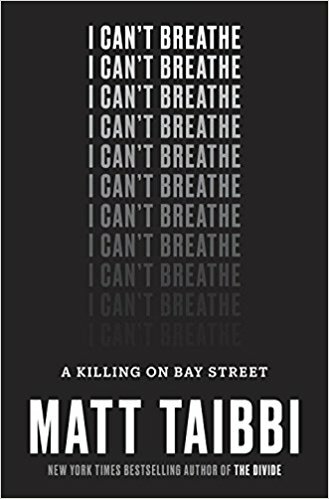 Its title, I Can’t Breathe: A Killing on Bay Street, seems to imply a narrow focus on the Garner killing, belying the book’s prismatic approach to both the people and policies involved in Garner’s life and death ... 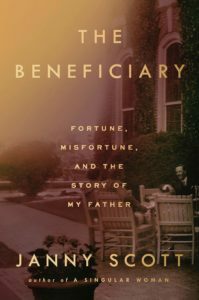 In this book, humanization does not equal lionization, and sympathy is never confused for pity. This applies to everyone, in particular the book’s principal subject ... Taibbi’s reportorial voice, often blunt and forceful, is most compassionate when he is integrating political realities with facts about Garner and the incidents depicted ... If readers are unfamiliar with the fatalism and frustration that racial discrimination, poverty and poor policing engender in men like Eric Garner, Taibbi provides an able introduction. ...where I Can't Breathe becomes most riveting is in the aftermath of Garner's death, as district attorney Dan Donovan fails to get a grand jury to indict Officer Pantaleo ... Taibbi isn't trying to win over any skeptics about Garner's case. 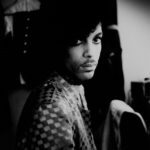 He's a contributing editor to Rolling Stone, and his style is a distant cousin to the gonzo tradition of that publication. He's not afraid to make a character he deems villainous look buffoonish — like Donovan, who has 'a long neck ending in a small blond head, like a yellow lollipop.' Does Taibbi's style undermine his reporting? Slightly. But the legwork he's done, and hours he put into documenting Garner's home base, talking with his family and friends, and capturing the people of Tompkinsville Park make all the difference ... Garner's portrait is fully alive and breathing. But as I Can't Breathe grimly reminds us, the forces that killed him are equally alive, and as powerful as ever. ...the most revealing stories Taibbi tells — the ones that made me put the book down because it got too heartbreaking — are about other African Americans, mostly male and poor, who were stopped and frisked, strip-searched, sexually assaulted, set up, beaten, or killed for the tragic reason that racist cops didn’t like them, or the even more tragic reason that these kinds of humiliations are ordained by U.S. law and policy ... The narrative unfolds like an episode of The Wire, but without the comic relief — or that show’s grudging empathy for the cops. Some readers might object to Taibbi’s tone of sustained outrage; the book is not objective, if that means giving equal weight to the concerns of the police and the victims of their misconduct ... Taibbi’s account is bleak. For African Americans, the criminal laws work too well and the civil rights laws not well at all. A black man has no rights that a cop is bound to respect. What did you think of I Can't Breathe: A Killing on Bay Street?